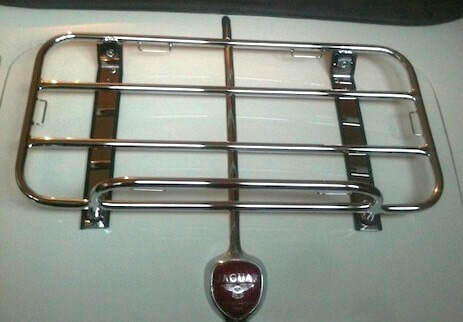 We have a choice of two styles of luggage rack available for the Jaguar XK120. Premium specification, mirror polished Traditional Style boot luggage rack with bespoke fittings suitable for the Jaguar XK120. ​The rack shown includes optional tie down points for leather straps which are available to special order only.